Employers across Lincolnshire held a summit in Lincoln on increasing the number of jobs for disabled people in the region. 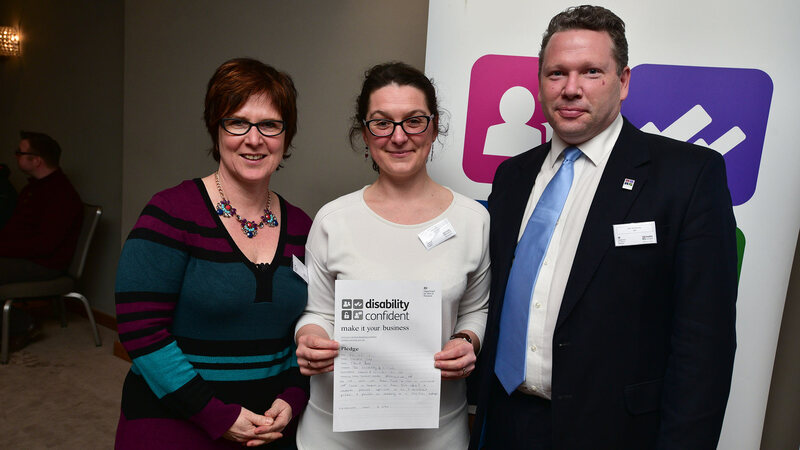 The event was one of a number of conferences hosted across the country to promote the Disability Confident campaign. Lincoln MP Karl McCartney chaired the event and took questions from employers about how to improve and increase the recruitment of disabled people. 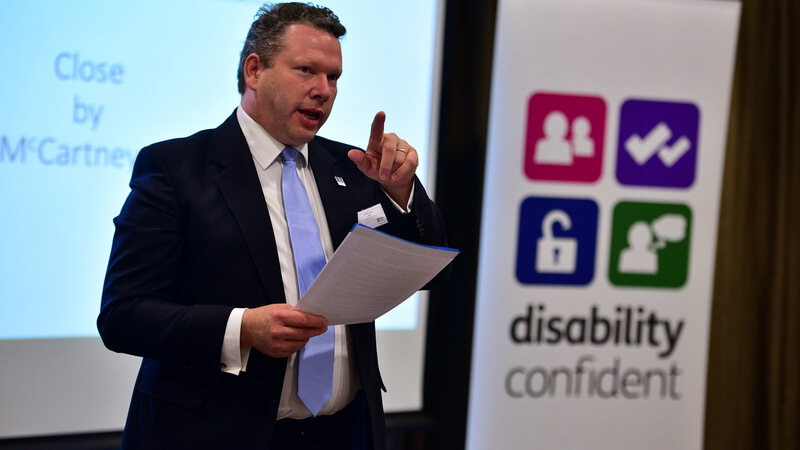 The Disability Confident initiative was launched by the Department for Work and Pensions (DWP) in 2013 to encourage employers to become more confident about recruiting disabled people. Businesses become Disability Confident employers by removing barriers in recruiting disabled people and hiring local disabled jobseekers. Sponsored by employment, learning and skills charity, Shaw Trust, there was a presentation from Clare Gray, who spoke about how the charity helps employers eager to increase the diversity of their workforce. Clare, Shaw Trust’s Specialist Disability Co-ordinator, is a wheelchair user with spinal muscular atrophy and has been a passionate advocate for the disabled community for many years. The DWP also discussed the Access to Work scheme which pays for practical support when disabled people need help to start and stay in work. Karl McCartney said: “It was great to learn more about how Lincolnshire employers are working closely with the disabled community to offer them employment opportunities. “I welcome the targeted specialist support offered to disabled people so they can find work. We should never be complacent about reducing unemployment and the support we offer disabled people to fulfil their career ambitions. Roy O’Shaughnessy, chief executive of Shaw Trust, added: “Through our work with employers across the UK we are seeing an increasing number of businesses who are committed to recruiting more disabled workers.